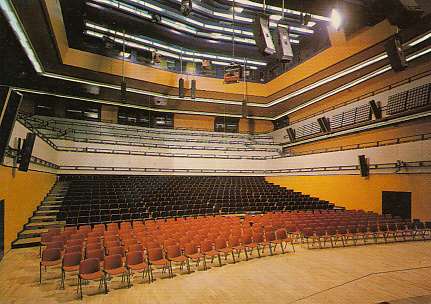 Congress center and event hall, built 1981. 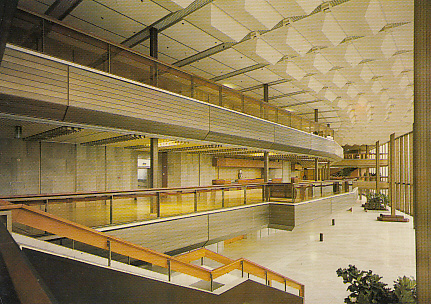 Also known as "Kongresové centrum Praha". 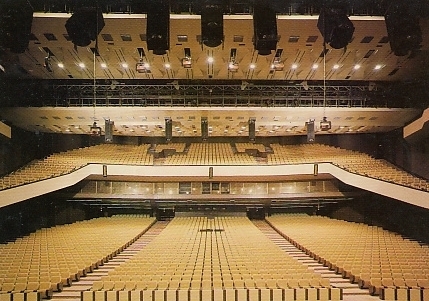 Reverse Text: "Palác kultury v Praze - Sjezdový sál - Sal svezdov - Kongreßsaal - Congress Hall - La Salle des Congrès"
Reverse Text: "Palác kultury v Praze - Spolecenský sál - Obshchestvenny sal - Gesellschaftssaal - Social Hall - La Salle de Société"
Reverse Text: "Palác kultury v Praze - Hlavni foyer - Hlavnoe Foie - Hauptfoyer - Main foyer - Foyer principal"